If you shoot and carry revolvers, you are likely already familiar with the excellent TUFF Products QuickStrips. They are a slim, lightweight way to carry a reload for your favorite wheelgun and they just became even easier to carry thanks to NeoMag. 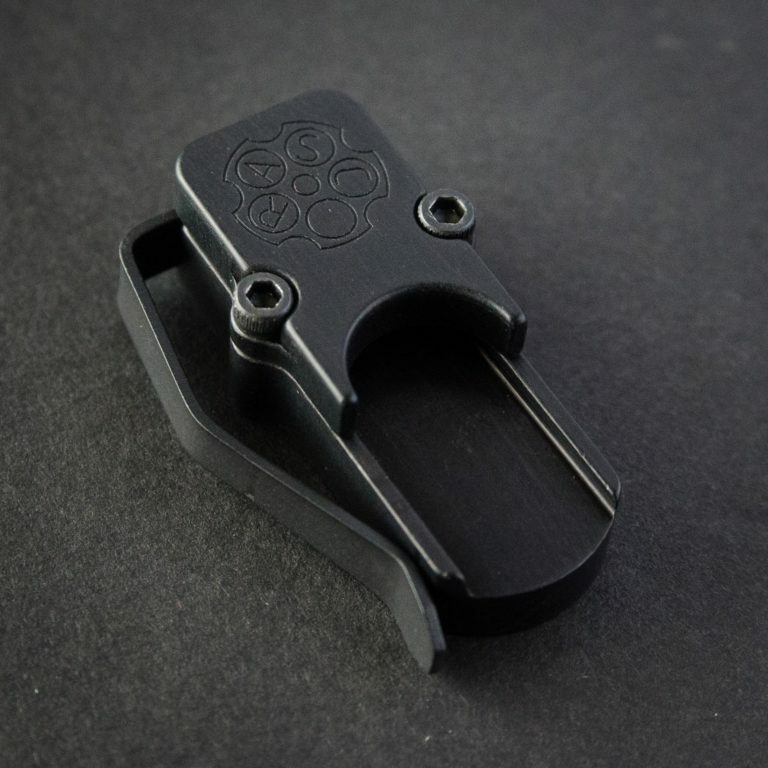 The NeoMag RASC is a pocket clip that clamps on the end of QuickStrip. It is machined in house at NeoMag from 6061 aluminum and includes a steel pocket clip. This simple addition to the QuickStrip makes a lot of sense. It allows the QuickStrip to lay flat against the wearer and ensures that it is oriented such that it is immediately accessible from the pocket. Without the RASC, speed strip style loaders tend to drop to the bottom of the pocket and move around. With the RASC, the strip would be in the same place and orientation every time. Got some quick strips about 8 years ago, guess there was a few boxes on top of them in my ammo bin, and they fell apart. just spend the money on speedloaders.